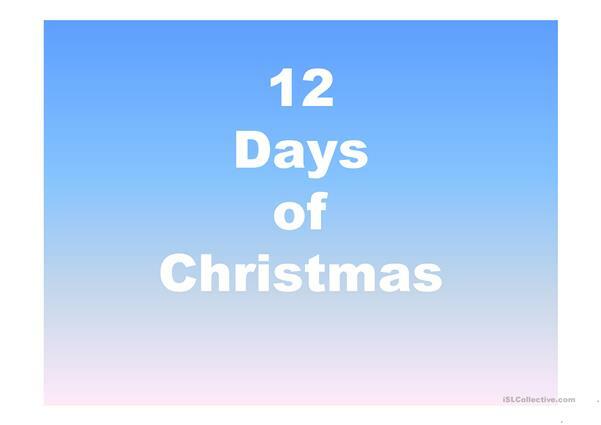 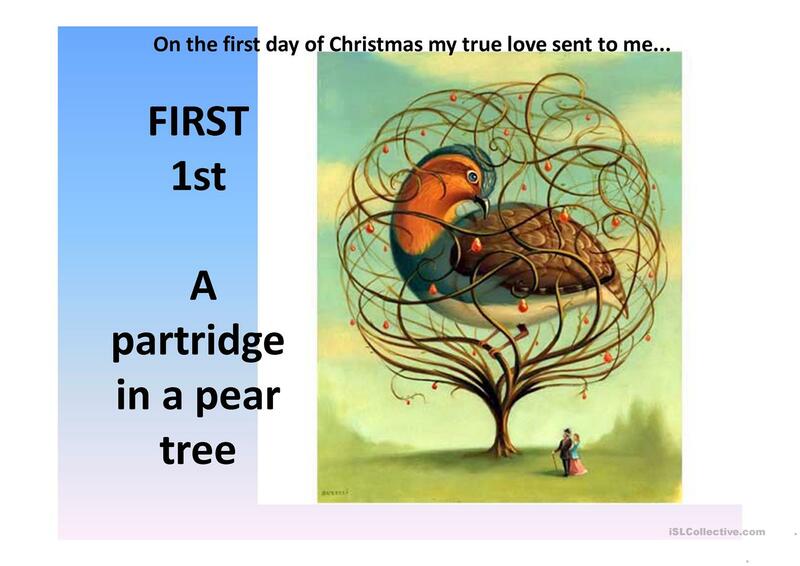 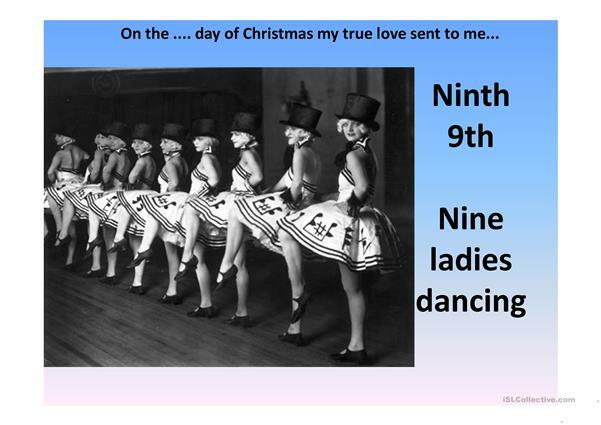 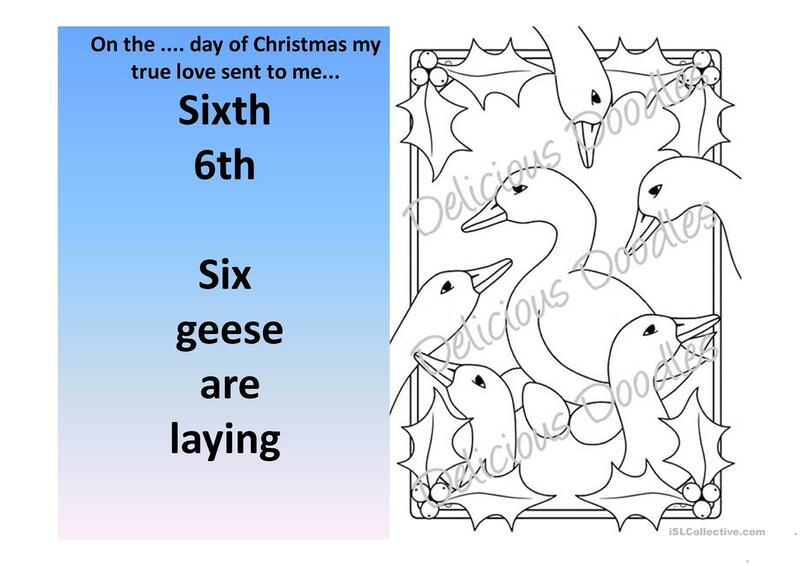 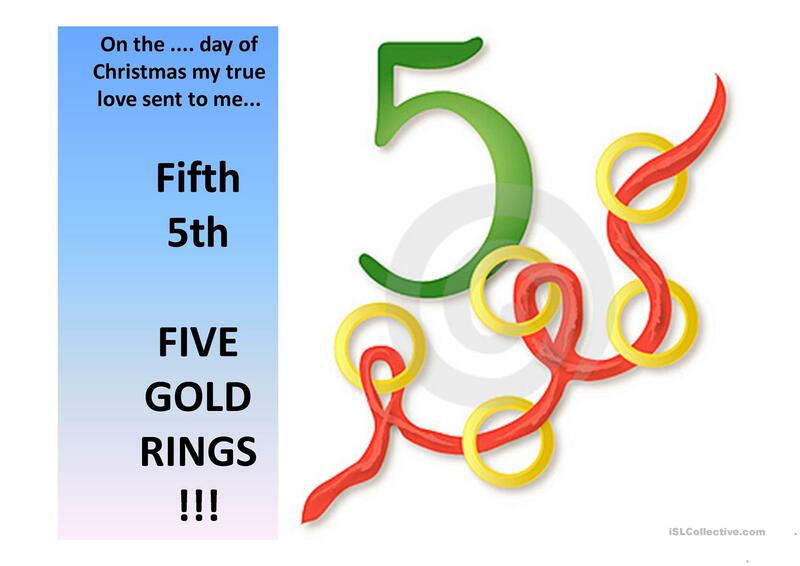 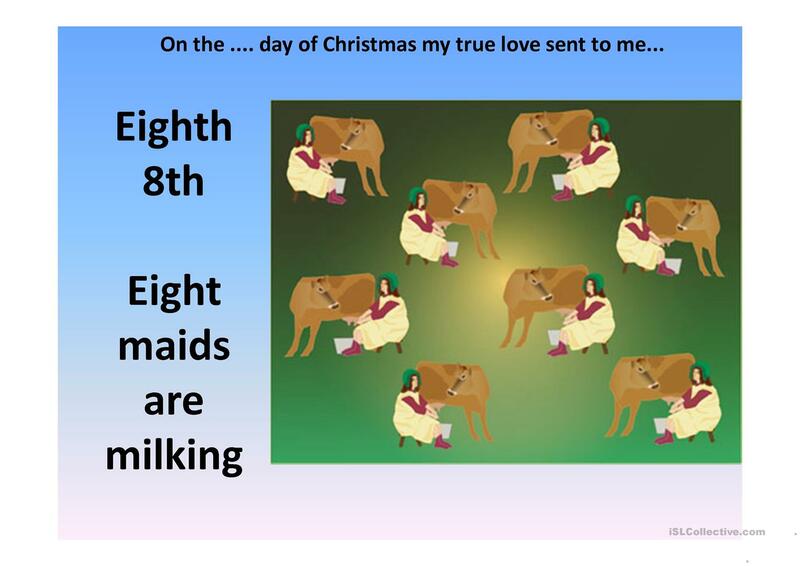 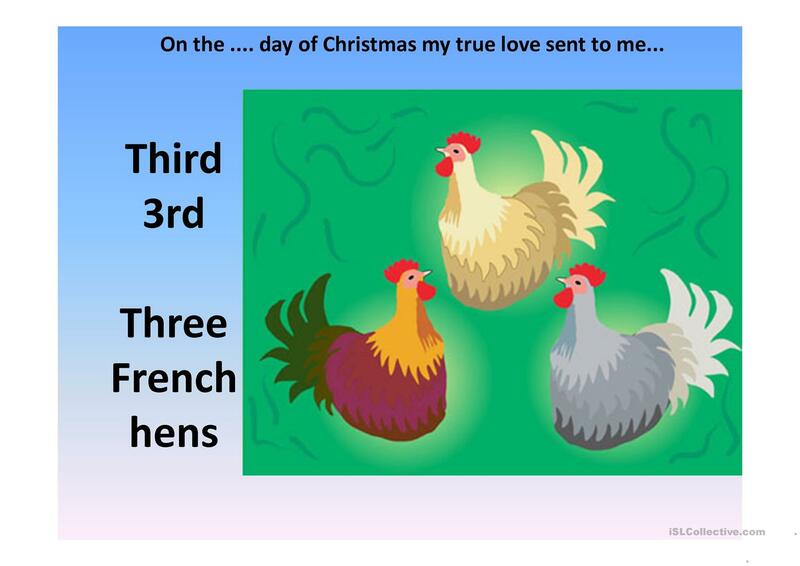 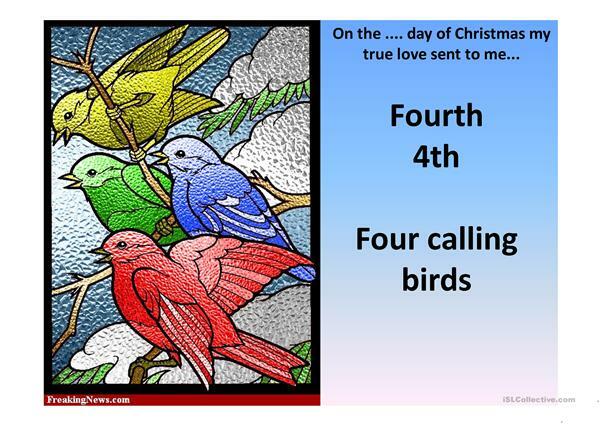 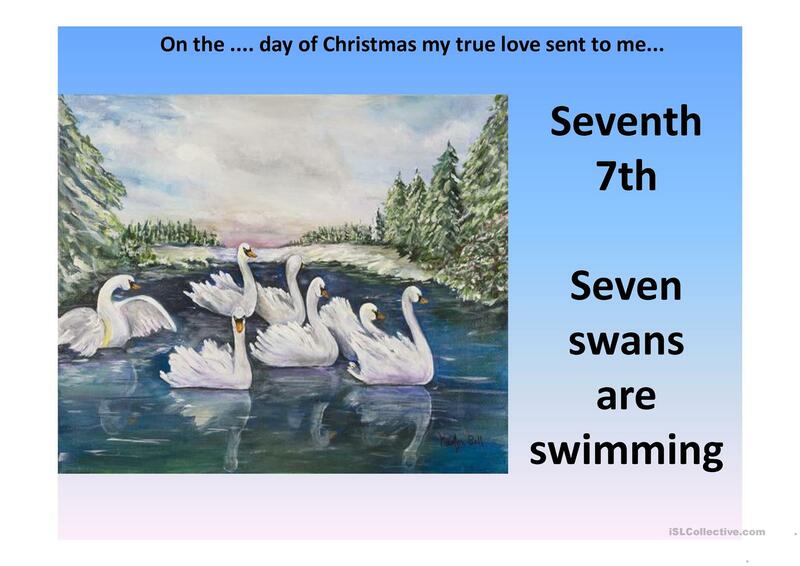 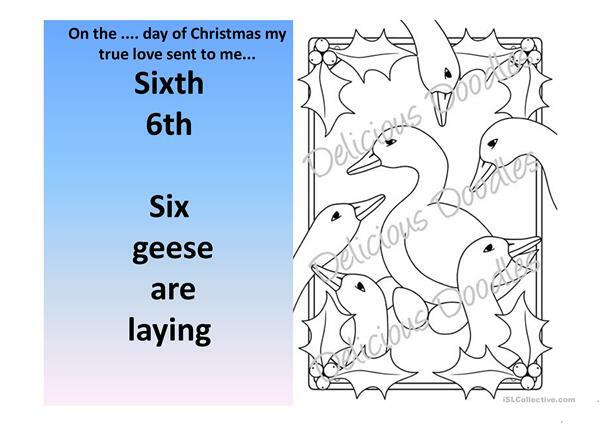 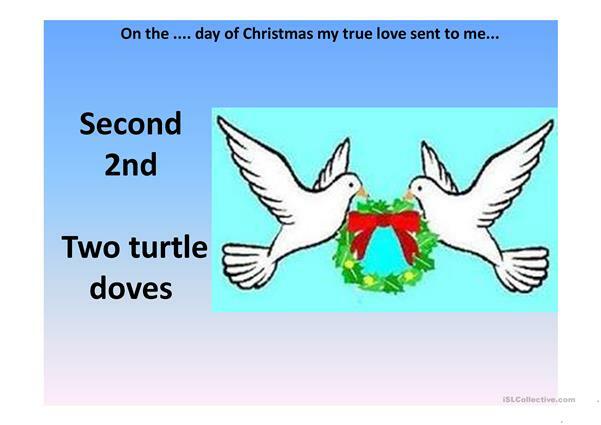 A presentation to go with the song "the twelve days of christmas"
This downloadable worksheet is meant for high school students, elementary school students and kindergartners and nursery school students at Beginner (pre-A1), Elementary (A1), Pre-intermediate (A2) and Intermediate (B1) level. It was designed for enhancing your learners' Listening and Reading skills. It features the topic and words of Christmas.